I first visited Dr H Suresh’s clinic in 4th T Bl ock in Jayanagar, in 1979, when my daughter was 6 months old. She’d been having severe diarrhoea for two weeks, and I was at my wits’ end as I was staying with some friends and desperately worried about her health. 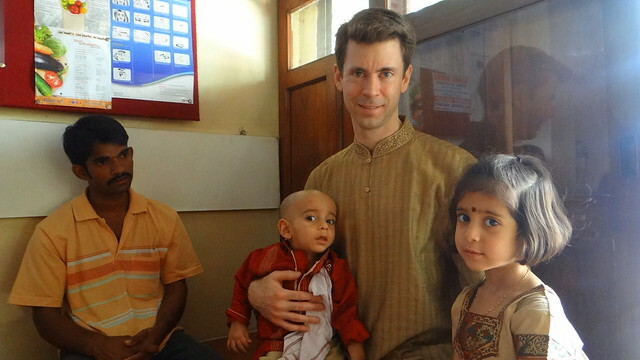 Dr Suresh’s clinic was called “Deepa Clinic”, and that formed a further bond. I learnt that it was his daughter’s name. He promptly treated my infant daughter, who recovered. When we moved to J P Nagar in 1997, my neighbour told me about a G P who ran his clinic nearby. 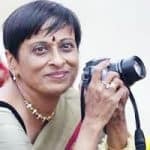 “He’s not too high-and-mighty to see everyday ailments,” she told me, “He’s our family doctor.” So, when KM was ailing, I went along with her…and there it was, Deepa Clinic, at the same place where it existed in 1979. 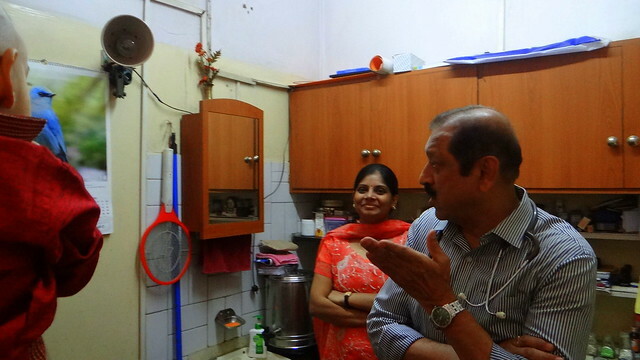 Over the years, since then, Dr Suresh has treated our family for so many ailments. He is a General Practitioner in the true sense of the word….he sees all patients. He has also been the only doctor I know, who made house calls. When we brought back my father-in-law from the US, who had suffered a stroke at 84,and was getting progressively worse with Alzheimer’s and Parkinson’s, as well as a series of strokes that ultimately carried him off 3 years later, it was Dr Suresh who came home regularly to check on him, and prescribed such minor medications as would keep my father-in-law reasonably comfortable. When my daughter married, and she and our son-in-law came to visit, he treated their coughs and colds, too, and stomach ailments. They swore by his treatment. Dr Suresh is a doctor of vast experience; when he finds something wrong in a patient that is out of the ordinary, he immediately lets us know and refers us to the specialist in the field. This happened with at least three friends of mine…one brought his wife, who was promptly diagnosed with stomach cancer; and two more major ailments. And now, I took my grandchildren also to him. True to form, he did not prescribe antibiotics for my son in law or my grand-daughter, but said that my grandson did have a bacterial infection which needed to be treated with antibiotics. This is something I like very much in him…he does not prescribe medicines unnecessarily….another rarity in today’s world. He’s much more likely to dose us with some of the tablets on his desk, and by the time we go back for a repeat consultation 3 days later, we are cured! Dr Suresh continues to be a General Physician….he does not aspire to be a specialist, but his wide experience of seeing patients stands him in good stead in treating people. He is most unusual, and to me, worthy of great respect, that he has continued in this same location, for the past 35 years (at least)…and preserves the quality of his life by taking days off on birthdays and his wedding anniversary. I do not know his wife, son, and daughter (and their families) personally…but I feel that they must be lucky, indeed, to have such a wise and contented person. I salute this physician who has become that rare wonder, the Family Physician. Doctors like him are very, very rare, and I hope Dr Suresh a very long, happy and healthy life, bringing health and happiness to all the patients he treats! Reminds me of Dr. Bheemsen Rao and Dr. Manjula Suresh, who were our family doctors – both in the Jayanagar area. Heard Dr. Bheemsen Rao passed away recently. May his healing soul rest in peace.